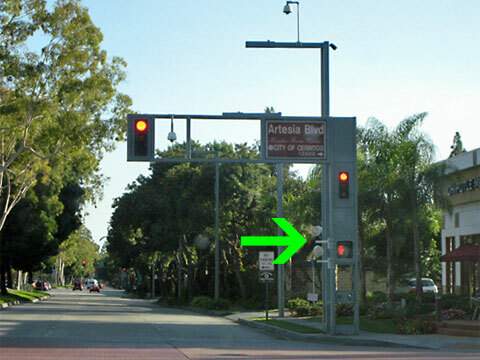 This photo by sch2006 shows a red light enforcement system in Cerritos, California. Notice the strobe lights (see arrow) used to illuminate the intersection while pictures are taken. Cameras are located near the traffic lights and higher above on a pole.